Moody Air-Force Base prepares to host its annual airshow. MOODY AIR FORCE BASE, GA (WALB) - Moody Air-Force Base is gearing up to host its popular annual airshow this weekend. Community members will be able to go on the base to witness what goes on behind the gates at Moody. The Flying Thunderbirds flew in Thursday and spent most of Friday practice for the big show. 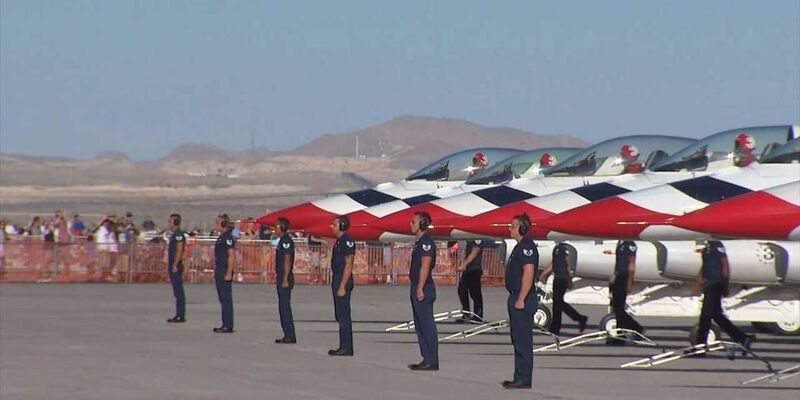 The Thunderbirds are some of the world's most renowned pilots. They will be flying aircrafts of all shapes and sizes. "It's just an opportunity to come and see what the air force is all about and get a taste of what we do every day to defend the nation," said Captain Korey Fratini. Moody Airforce Base will host the show Saturday and Sunday. Officials say that people are not to bring any weapons, coolers or backpacks. Gates will open at 9 a.m. Saturday and Sunday.